Visit the 103rd Annual Pennsylvania Farm Show with Susquehanna Trailways! Begin the year with this annual event, celebrating everything PA agriculture has to offer. There is so much to learn about one of PA’s largest industries, which includes thousands of animals and booths to educate in every aspect of the profession. Begin the year with this annual event, celebrating everything PA agriculture has to offer. There is so much to learn about one of PAs largest industries, which includes thousands of animals and booths to educate in every aspect of the profession. Grab a slice of shoofly pie or a honey waffle, snag a bottle of award winning PA wine, watch the antique tractor pull or the celebrity rabbit hop, sit in on the Culinary Connections current exhibit and watch as junior chefs compete. Boost your kids STEM knowledge to learn how farmers use science to improve our world! All this plus what will be this years butter sculpture? 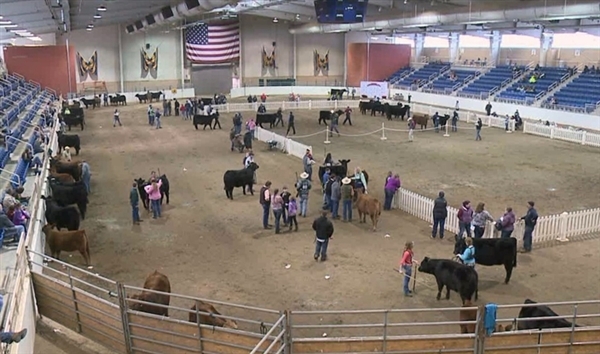 Pennsylvania Farm Show Complex - Harrisburg, PA. Depart @ 4:00 PM. All times other than pickuptimes are approximate. Schedule subject to change.